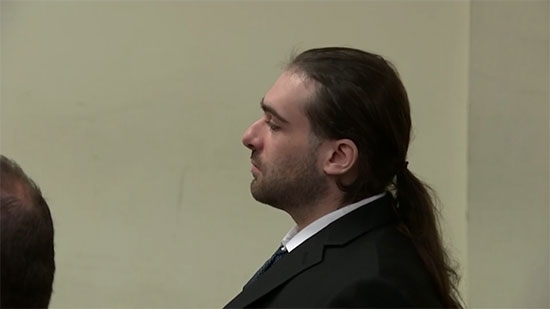 The New Jersey jury in the murder trial of David "DJ" Creato, accused of killing his 3-year-old son Brendan in October 2015, has failed to reach a verdict in the case. Judge John Kelley declared a mistrial and dismissed the jurors around 11 a.m. on Wednesday. The panel started deliberations last Tuesday (with four days off for the holiday weekend). They spent a lot of time revisiting testimony and rewatching video evidence including police interrogation of Creato the day his son disappeared and the moment they told him he was found dead. The case was entirely circumstantial. There was no evidence that linked Creato to the crime and despite three autopsies medical examiners couldn't determine how young Brendan died. Prosecutors contended that DJ had the motive and opportunity. David will remain in custody. See video of this morning's proceedings below. A 7-year-old girl found in the basement of her home in Olney early this morning with a plastic bag over her head is now reportedly brain dead. The incident started at 1 a.m. on the 5500 block of North American Street. Police were called to the location after a woman reported that her 18-year-old son took off with her car. The woman went down the basement to retrieve the vehicle's paperwork and discovered her daughter not breathing. She ran outside screaming with the girl in her arms. Police began CPR and rushed her to Einstein Medical Center in critical condition. Police found the vehicle crashed a few blocks away, but the 18-year-old had fled on foot. They are investigating how the bag was placed over her head and are searching for the son. Upper Darby Police are looking for a man that escaped from a Delaware County crisis center. 32-year-old Jerell Devore escaped from Chester Crozer Crisis Center in Upland. He was arrested for a string of apartment burglaries. He was referred to Chester Crozer Crisis Center after trying to hang himself in custody. He is considered dangerous. If you see him call 911.